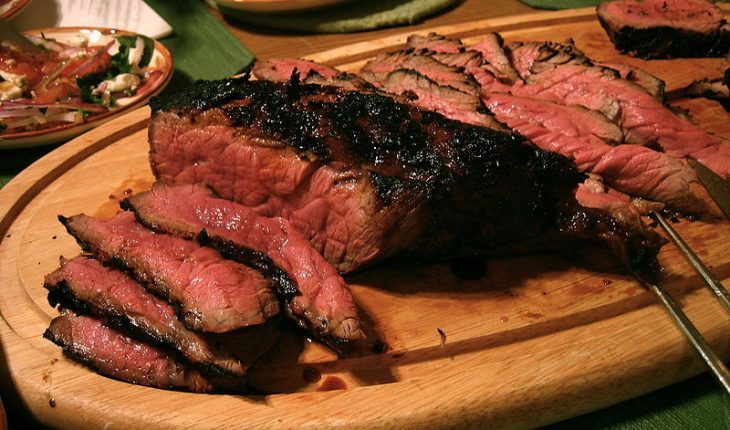 London broil is a delicacy that originated in North America, which is made by grilling or by broiling flank steak. 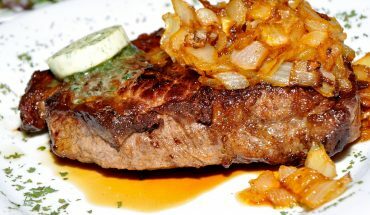 To enhance the natural flavor of meat used in this dish, the steak is marinated overnight or for at least three hours. 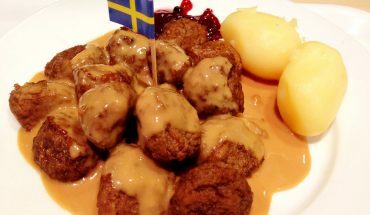 In addition, the dish is combined with a tasty and luscious sauce to make it more enticing. To learn how to prepare the food, it is important to follow the easy and simple steps in the best traditional and homemade London broil recipes. 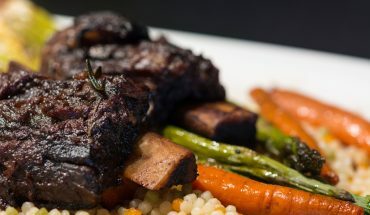 The ingredients for this entrée include three cloves garlic, ½ cup soy sauce, two tablespoons of vegetable oil, two tablespoons ketchup and a teaspoon of dried oregano. Aside from these ingredients, you need a teaspoon of ground black pepper and two-pound round steak or flank steak. Combine the soy sauce, ketchup, oil, garlic, black pepper and oregano in a small bowl. Use a fork to pierce the steak. Put the meat in the bowl and marinade for eight hours. Do not forget to refrigerate the meat. Heat the grill and brush the grate with vegetable oil. Arrange the meat on the grate and grill for eight minutes to 10 minutes for each side. Remove from the grill and arrange the meat on a clean platter. Serve while hot. This procedures in this recipe are easy to follow. 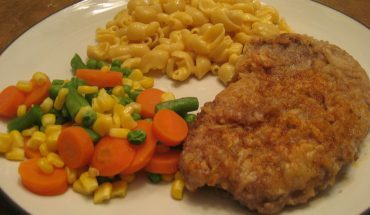 In addition, the other ingredients aside from the meat are cheap so you will not have difficulties purchasing the ingredients. The dish contains 1 ½ pounds round steak, two minced cloves garlic, a small can of cream of mushroom soup, ½ cup water, ½ teaspoon dried basil, ½ teaspoon dried oregano and ½ teaspoon salt. Put the steak on a slow cooker. Add the mushroom soup, garlic, water, oregano, salt and basil. Cover and set the slow cooker on low. Cook the dish for seven hours. This tasty entrée contains a round steak, a small can of stewed tomatoes and ½ teaspoon garlic salt. Set the oven to 350 degrees Fahrenheit. Preheat the oven. Put the meat in a roasting pan. Top the meat with stewed tomatoes. Sprinkle the meat with garlic salt. Place the roasting pan inside the oven. Cook the steak for two hours to three hours. Remove the steak from the oven and transfer on a clean platter. Let it stand for 10 minutes. Slice the meat into several portions before serving. Garnish with chopped celery or parsley.